Comfortably spacious with a distinct character all its own, 99 John Deco Lofts rise above the all too common condominiums on the market today. This unique collection of modern loft condominiums located in the heart of the Financial District was originally designed by the same architects who created The Empire State Building. 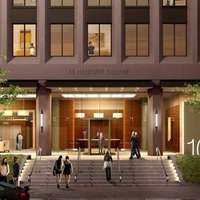 The classic limestone and granite pinstripes on the exterior envelope the newly renovated residences inside to create a timeless essence of old New York and modern downtown living. Find your new home in one of these Financial District apartments… on par with some of the finest New York City condominiums. 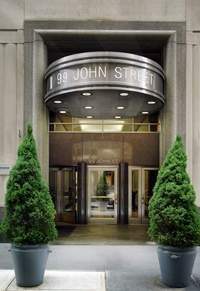 Building Originally built in 1933, 99 John was designed by Shreve, Lamb & Harmo, the architects resposnible for The Empire State Building. The resemblance is clear, from the classic limestone and granite façade to the tiered setbacks on higher floors. The old world construction features solid 16+ inch concrete walls, classic architectural details and unique floor plan layouts. Although the building is historic, it has been fully renovated and updated in keeping with modern city living. 99 John Deco Lofts is a fantastic combination of old and new. Residences With over 100 distinct floor plans, the residences at 99 John Deco Lofts are very much atypical. The old world construction is built to last with thick concrete walls and floors. Tall ceilings, wide windows and open layouts make for bright, airy and spacious homes. While the building has a long history, the apartments are brand new. The kitchen and baths are fully renovated and updated with modern fixtures and appliances. A solid choice, 99 John gives you both space and style. Amenities 99 John provides stylish and impressive amenity spaces for you to entertain family and friends, enjoy some personal time or meet up with your many interesting neighbors. 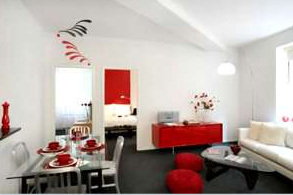 Each space allows you to personalize the experience and make it your own. The roof top dining table provides the perfect setting for a sunset snack and the iPod docking station in the lounge lets you pick your own tunes. The gathering spaces are all yours… whatever your mood. And let’s not forget the 24 hour concierge, parking garage, grocery, drug store and pharmacy all onsite within the building. Neighborhood Lower Manhattan… what a place to live. Chic shopping, cultural attractions, dining & nightlife, convenient transportation and plenty to do outdoors. Very much a residential neighborhood, the Financial District has some of the City’s best schools and playgrounds. Walk the streets around 99 John and you’ll find financiers walking along-side families. And there’s shopping too- from Hermes and Tiffany to the shops at South Street Seaport. Plus, with 5 subway lines, 2 water taxi docks and quick access to tunnel and bridges, the neighborhood is as convenient to leave as it is wonderful to stay. 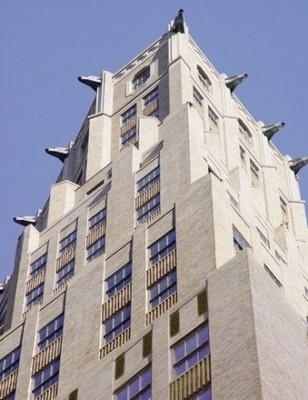 The Building: Nestled in one of New York City’s oldest neighborhoods, The Crest is unique in it’s perfect harmony of classic form and modern function. Designed by noted architects Delano and Aldrich, the Wall and Hanover building erected in 1928 was originally constructed as the headquarters for the oldest and largest partnership bank in the country, Brown Brothers Harriman & Co. 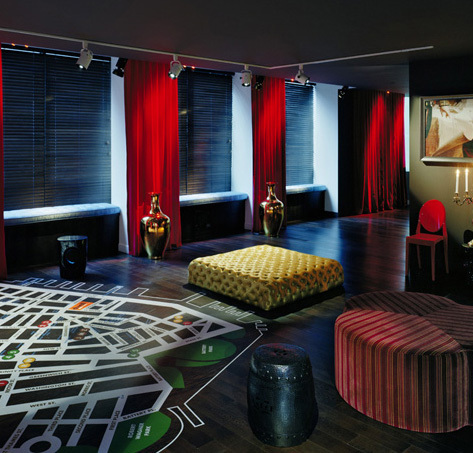 In 2004 the New York City Landmark was entirely refurbished and reinvented as The Crest, one of the The Financial District’s exciting and luxurious rental destinations. 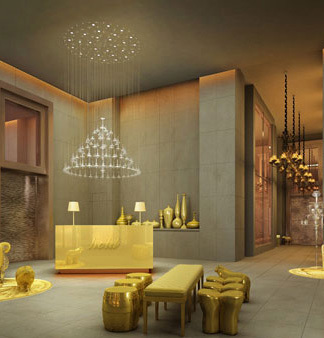 The Apartments: Prewar opulence and contemporary style merge in apartments filled with much sought after architechural features as soaring high ceilings and oversized windows. 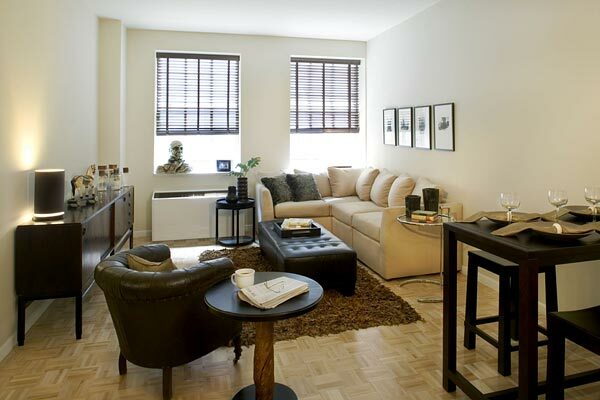 Each apartment boasts beaming maple flooring, elegant marble baths, modern kitchens with granite countertops, maple cabinetry and top of the line appliances, individual climate control and high speed wiring.